You've found the “Canada Simmental Cattle Breeders” page here at Hobby Farm Wisdom! If this is the first time you have visited our site: Welcome! 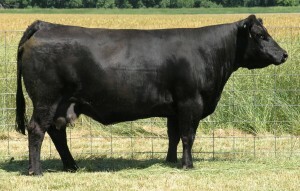 The Simmental breed is if not the most, one of the most versatile and popular breeds of cattle known worldwide. Simmental color varies from gold to red and white. The head is white and the majority has pigment around the eyes which reduces eye problems from the bright sunlight. They have been used for dairy, beef and as draught animals thanks to their fast growth and outstanding production of milk, butter and cheese. Currently being placed in the top four in beef production, the Simmental breed they are popular for their high beef yields. Their heavy muscling combined with size and weight, produce a solid red meat carcass with minimal fat. Simmentals can be horned or polled and they have a heavy dewlap. Largely framed with good muscle growth, the cows can weigh around 1,600 to 1,900 lbs. and bulls up to 2,800 lbs. Other leading characteristics of this breed include docility, mothering instincts, adaptability, milk producing, longevity, long fertility, early maturity and grazing ability. Can’t find the right Simmental Cattle in Canada? Check in: Minnesota, Wisconsin, Michigan, New York, or Washington. Or, to see a list of ALL the Simmental Cattle breeders in the US: Click Here!